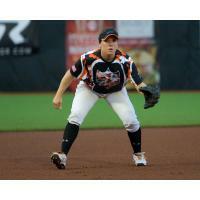 ROSEMONT - The Chicago Bandits will retire the numbers of legendary infielders Amber Patton and Tammy Williams in a ceremony scheduled for August 10 at Parkway Bank Sports Complex, team officials announced Friday morning. The jersey retirements are set to take place on Jennie Finch Night, an annual event hosted by the Bandits in honor of the iconic pitcher. 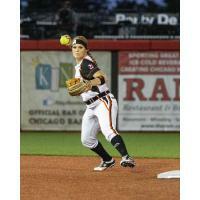 "Amber and Tammy are all-time Bandits greats," general manager Toni Calmeyn said. "We're grateful for their dedication to the Bandits organization and proud of their accomplishments on the field. We're thrilled to be able to retire their numbers in front of a packed home crowd on Jennie Finch Night." "Having my jersey retired is beyond my wildest dreams, let alone with my best friend and legendary shortstop Tammy Williams," Patton said. "To everyone who has been a part of my career - teammates, coaches, Bandits fans and my family - thank you and go Bandits!" The Patton-Williams tandem helped guide Chicago to a pair of Cowles Cup championships, as well. The 2011 title run featured standout performances from both Patton and Williams, who combined to hit .345 and score nine runs en route to the franchise's second championship. In 2015, Williams led the Bandits' offense to the third Cowles Cup in team history, recording a robust .385 average throughout the postseason. "I am sure I join Bandit Nation, along with fans of softball in general, in celebrating this great honor being fittingly bestowed on these two athletes together," National Pro Fastpitch Commissioner Cheri Kempf said. "Anyone who was fortunate enough to see the Patton-Williams defense for Chicago must realize there has not existed a better left side in professional softball." Patton's No. 12 and Williams' No. 2 are set to become the fifth and sixth jerseys retired in the 15-year history of the Bandits franchise. The duo joins legendary figures Jennie Finch, Vicky Galindo, Laura Harms and Stacy May-Johnson in the rafters of Parkway Bank Sports Complex.